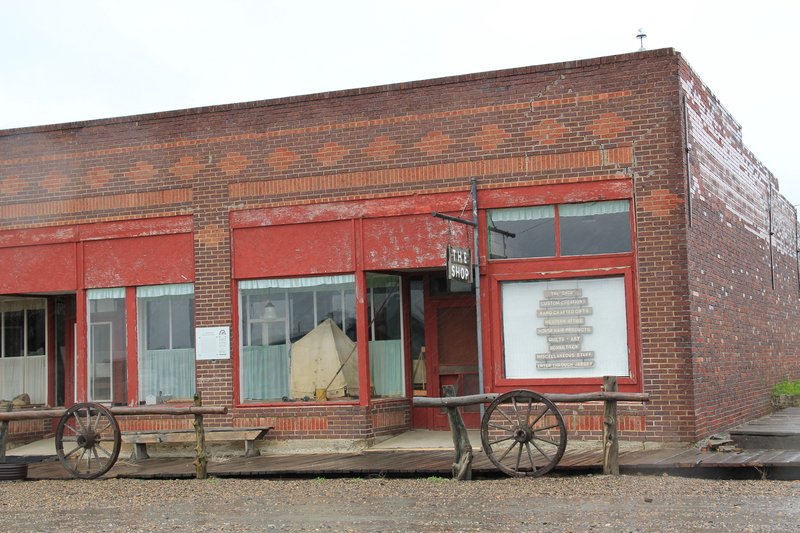 As the Milwaukee Road left the Yellowstone Valley at Forsyth and struck northwest toward the Musselshell River valley, it created one of Montana’s most classic prairie railroad towns, Ingomar, established in 1908. The hamlet, with 25 or so residents today, compared to perhaps the 100 who lived around there in 1980 has several historic buildings that document its quick twentieth century rise, and just as quick fall in the 1920s and 1930s depression years. 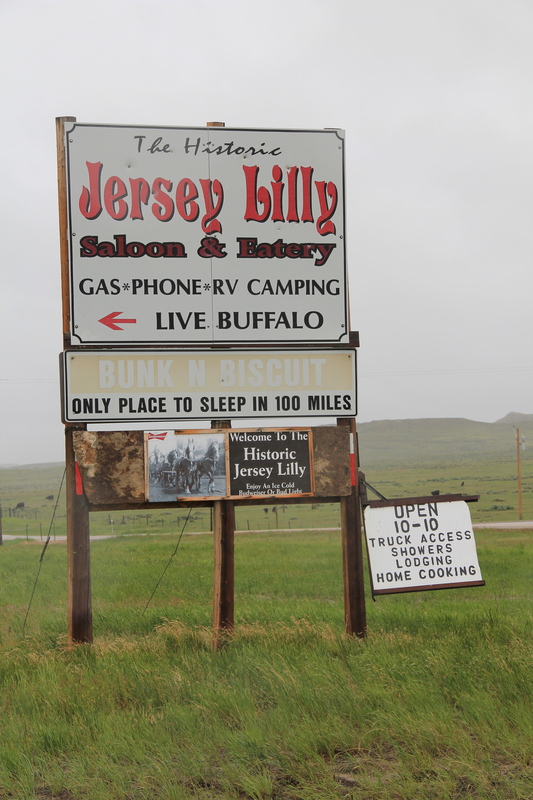 In the 1984 survey of Montana, Ingomar really just had one reason to stop: the Jersey Lilly Bar, owned and managed by Bill Seward, who had done so since 1984. That spring Seward and I became good friends. Few people stopped there in February and March and since I was in the region, I found ways to stop in. do coffee (strong, hot, always ready) and have whatever Bill was thinking of cooking. He was proud of his beans, and liked sliced red potatoes when he had them. Seward added the faux western wood porch to a 1914 bank building: he said that the tourists liked it, that it made the otherwise Classical Revival bank look “Old West.” Until Seward’s death in 1995, I found reasons to visit Ingomar three other times, in a way just to make sure that both Seward and the bar was still going on. Since the construction of the interstate highway to the south had so killed traffic along U.S. Highway 12, you wondered when the bar would close. This former homestead-era bank building, the Wiley, Clark, and Greening Bank, opened in 1914 and closed as a bank seven years later. 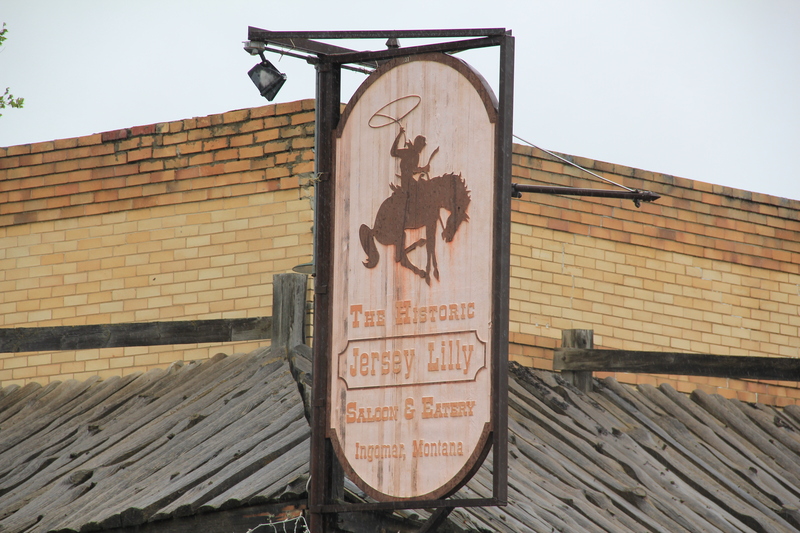 In 1933, the height of the Depression, it re-opened as the Oasis Bar (it certainly was that along U.S. 12) and it became the Jersey Lilly Bar in 1948. 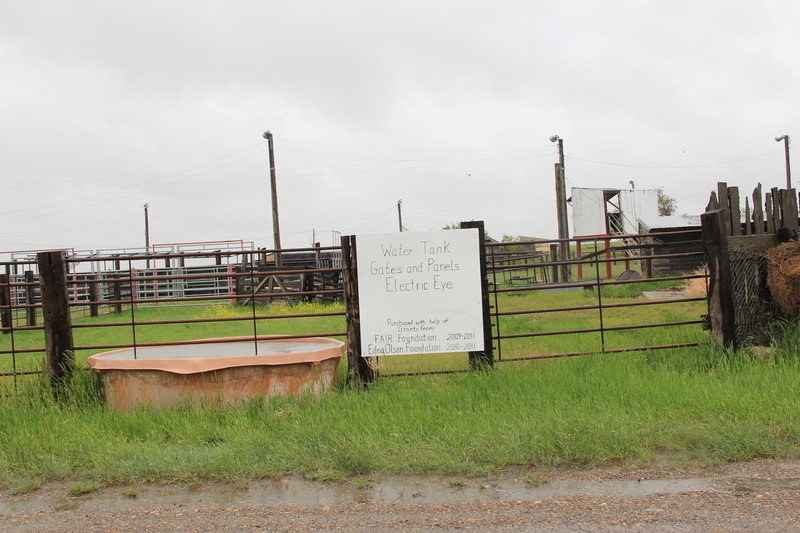 Almost seven decades later, it is a well-known landmark on the highway, and was listed in the National Register of Historic Places in 1995. Adjoining the bar, and accessible only through the bar, is another National Register building, the Bookman General Store, constructed as really an act of faith in 1921, replacing an earlier store that had burned. 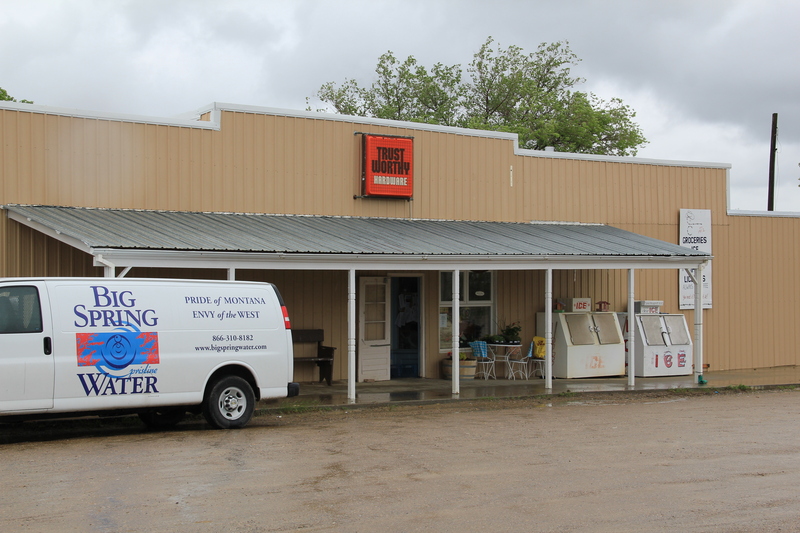 The prospects for Ingomar was not so rosy by that time but the Bookman family stayed the course–lost the store for two years from 1933-1935–but reacquired it and kept it open to 1943. 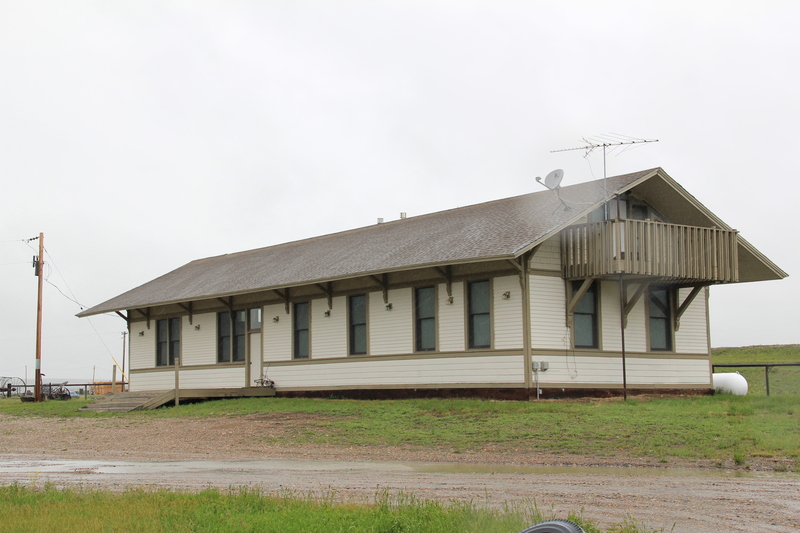 A third Ingomar landmark on the National Register is the public school, which evolved from a one-room in 1913 to the rambling building you see today, constructed by Neils Hanson of Melstone in 1915. 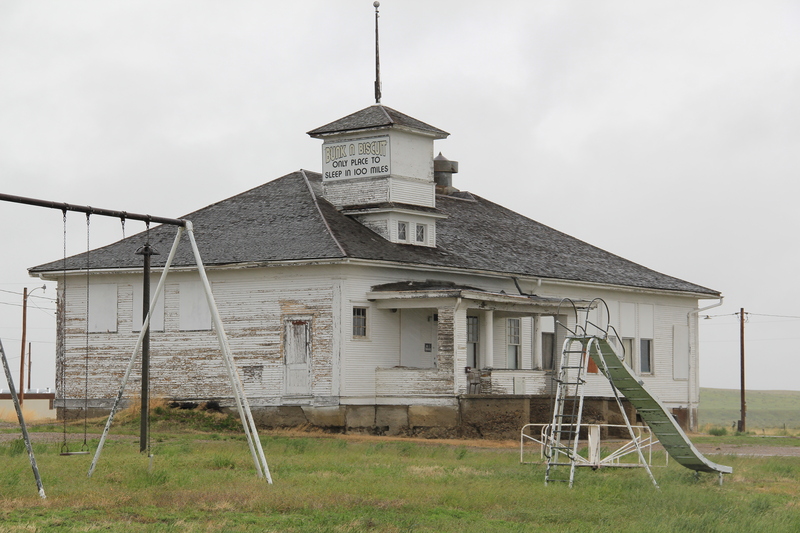 When I surveyed Ingomar in 1984, the school still operated but closed for good in 1992. It was converted into a “biscuit and bunk” later that decade. Another important historic building is the Milwaukee Road “combination-style” depot, where the passenger and freight service was combined into one building. Many of these have disappeared along the line since its closure, and too many have disappeared or have been moved since my survey work of 1984-1985. Ingomar has its depot, converted into a private residence along the now-gone tracks in the 1990s. Other historic properties exist, perhaps waiting new futures. 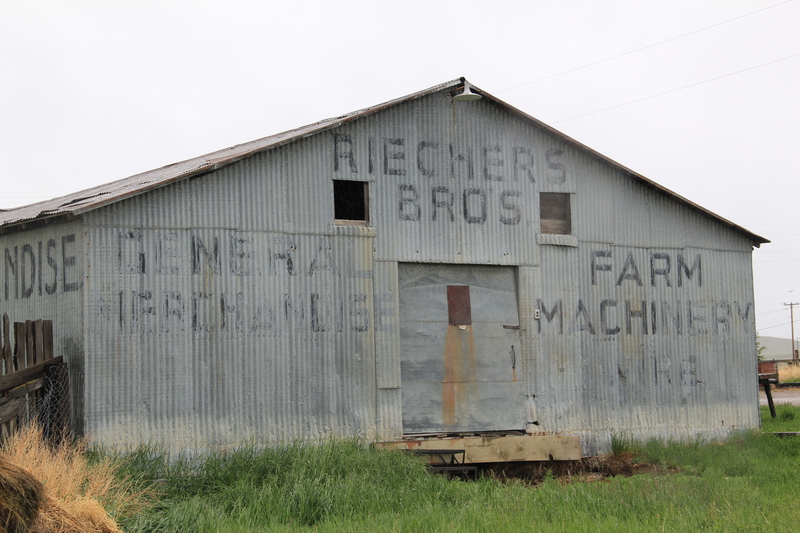 The rodeo grounds stay in use while the Riechers Brothers general merchandise and machinery store building remains standing. Other structures are barely hanging on. 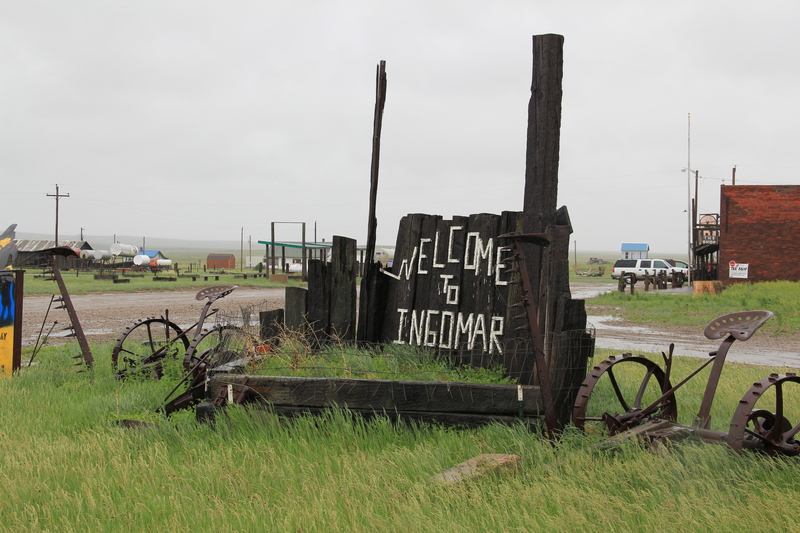 As travel dwindles and population disappears, you worry about the future of Ingomar. Their signs and their heritage assets beckon visitors daily but will enough even come by to make a difference? 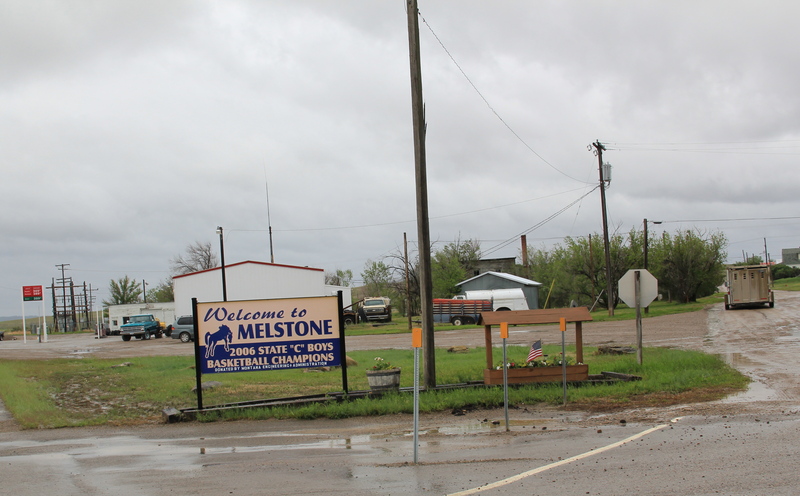 Melstone, just west of where the Milwaukee Road crossed the Musselshell River and entered its valley, is another worrisome case. Its population has dropped to under 100–almost 150 lost since my visit in 1984. But it still has its school, which is very much the town’s central institution and point of pride. 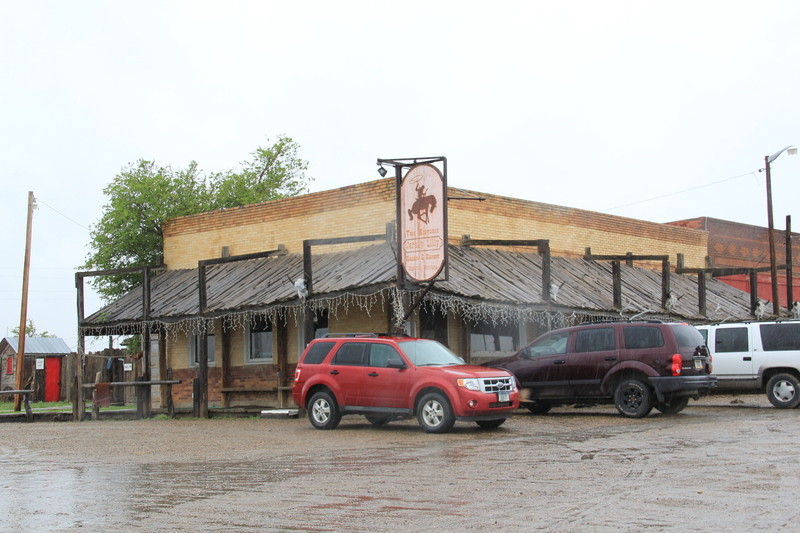 Melstone has lost its signature building, the 1912 Antlers Hotel, located on the town’s most prominent corner between its main street, that leads to the school, and the intersection with U.S. Highway 12. The location of the Antlers Hotel is now a grassy spot. 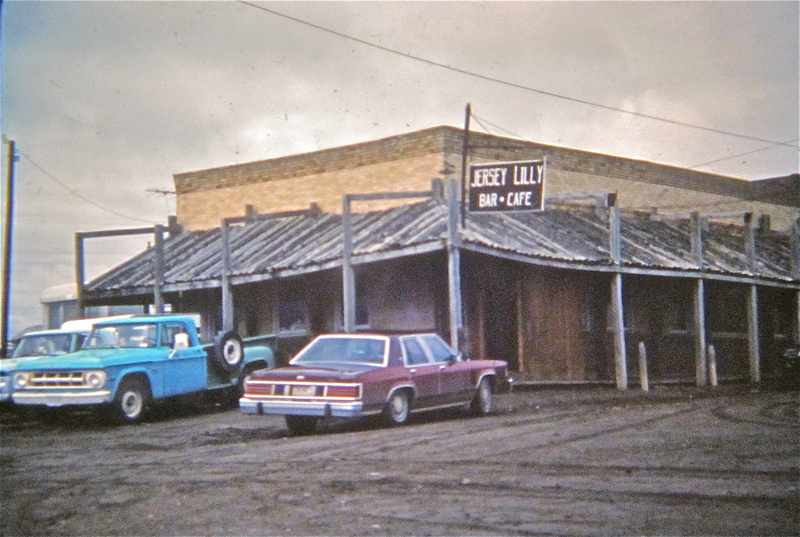 Melstone has a hardware/general store along with Jakes Garage on the highway and the Melstone Bar and Cafe, another classic roadside stop along u.S. 12. 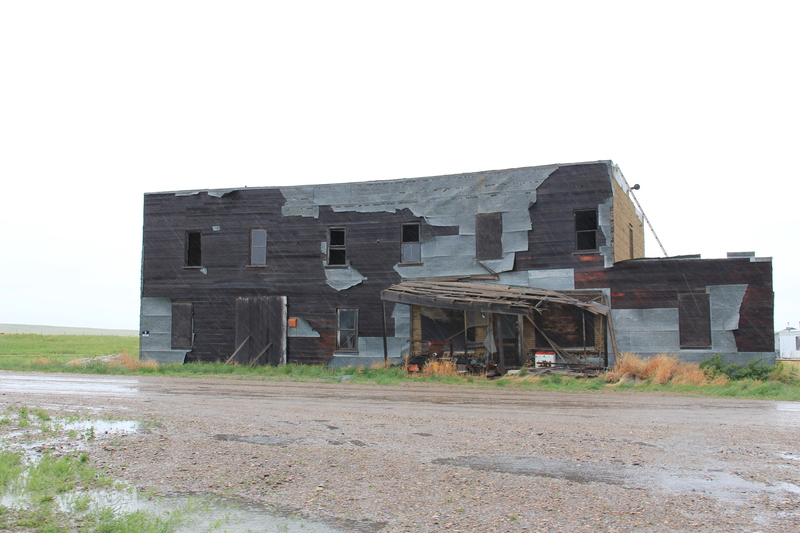 Ingomar and Melstone–I understand to most eyes they are dumps, not worth a look–but in my fieldwork they are interesting and valuable, physical signs of the 20th century determination to make rural settlements work, and despite their losses, they are still here some 100 years later. 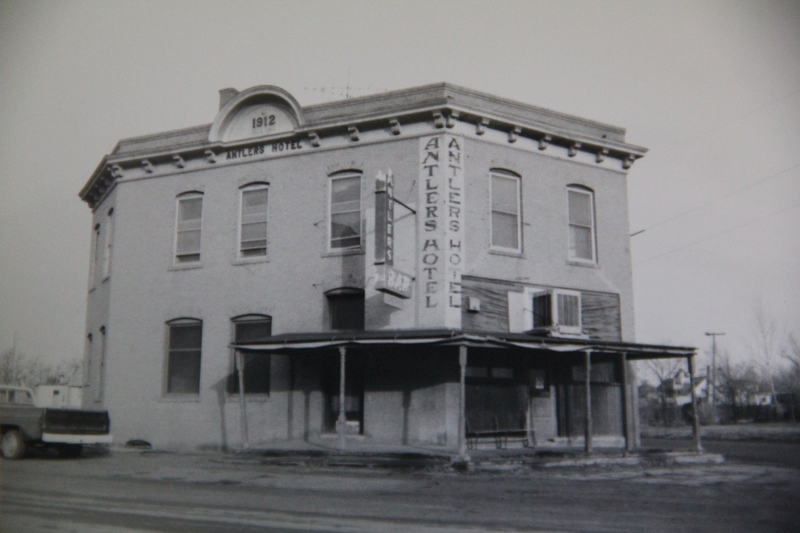 This entry was posted in Montana historical landscape and tagged Antlers Hotel Melstone, Ingomar Montana, Jersey Lilly Bar, Melstone Montana, Milwaukee Road, Montana bars, Montana cafes, Montana depots, Montana historic banks, Montana schools, Musselshell County Montana, National Register of Historic Places, Rosebud County Montana by carrollvanwest. Bookmark the permalink.